SAU’s student population for fall 2016 again set records (that’s four straight years of record growth) and for the second year was the fastest growing university in Arkansas. 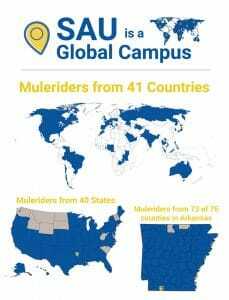 In conjunction with more Muleriders has been the increased need for more residence halls and other facilities. 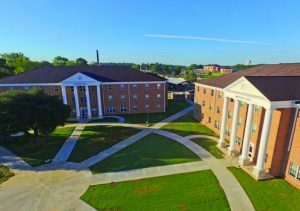 Following the two most recent residential living options – Columbia and Magnolia Halls – which opened last fall, two more projects are set to open in August 2017. 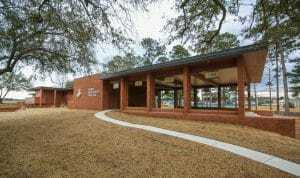 West Hall will adjoin the new parking lot opposite Magnolia Hall. 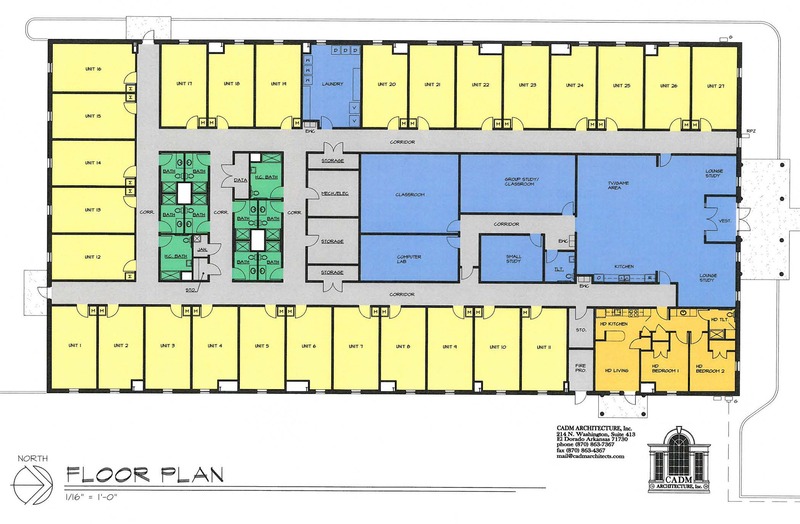 It’s slated to be 23,750 square feet, and will house around 90 students. The former skating rink is being transformed into a living and learning center for engineering students. 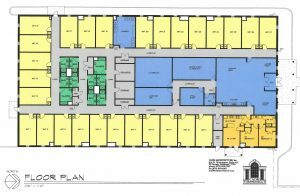 It will be approximately 17,328 square feet and will be home to 54 students. Another exciting new project coming on campus for 2017 is a community playground. 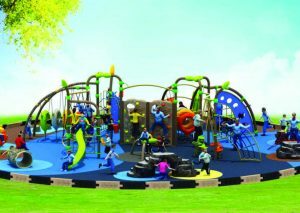 Thanks to the overwhelming support of the Mulerider family and community members, initial expectations were exceeded and ordered was a large 39×33-foot commercial playground set that has an occupancy of 25-35 children ages 2-12. 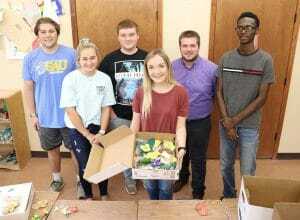 It will be located just east of the duck pond in a triangular-shaped plot between two lines of oak trees that will provide ample afternoon shade. 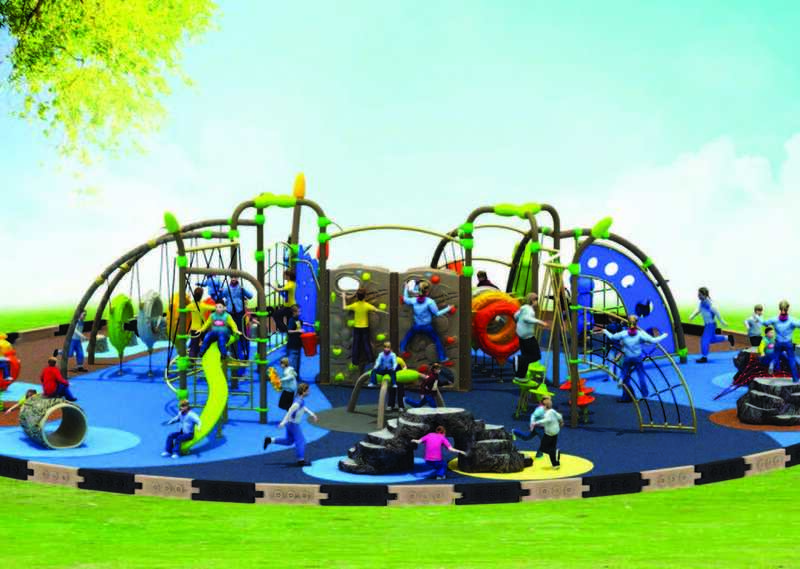 Also, thanks to the availability of a retired fire truck and the generosity of Bubba’s Body Shop in Magnolia, a second play area nearby will feature the bright-red vehicle with slides and other climbing features that kids are sure to explore and enjoy. Both areas will be surrounded by a four-foot black fence. 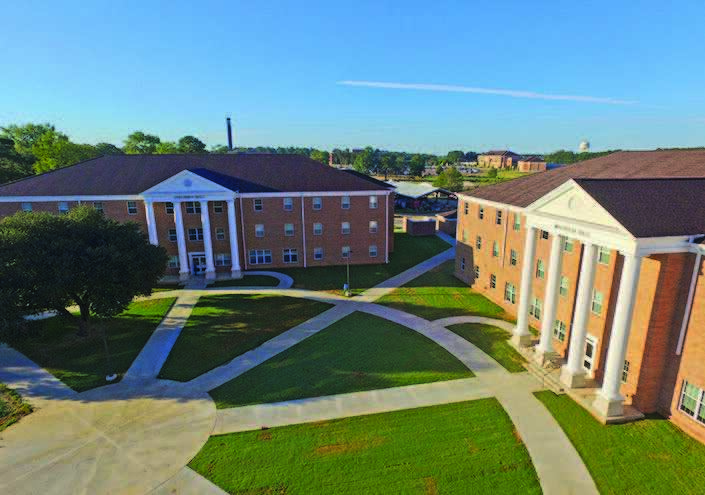 This part of Magnolia on SAU’s campus already attracts families and outdoor enthusiasts alike with the community walking trail, fishing, tennis, picnicking, and much more.